In biological development, positional information required for pattern formation is carried by the gradients of special signaling molecules, which are called morphogens. 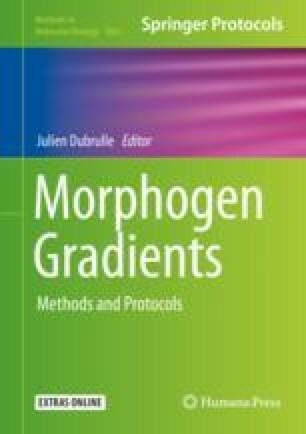 It is well known that the establishment of the morphogen gradients is a result of complex physical-chemical processes that involve diffusion, degradation of locally produced signaling molecules, and other biochemical reactions. Here we describe a recently developed discrete-state stochastic theoretical method to explain the formation of morphogen gradients in complex cellular environment. A.B.K. acknowledges the support from the Center for Theoretical Biological Physics (NSF Grant PHY-1427654).